Fry tortillas in oil over moderate heat till bubbling almost stops and tortillas are crisp through. If getting too brown before bubbling stops, turn heat down. Fry eggs “sunny side up” or to desired doneness in apx. 1 Tbsp butter in a non-stick skillet. 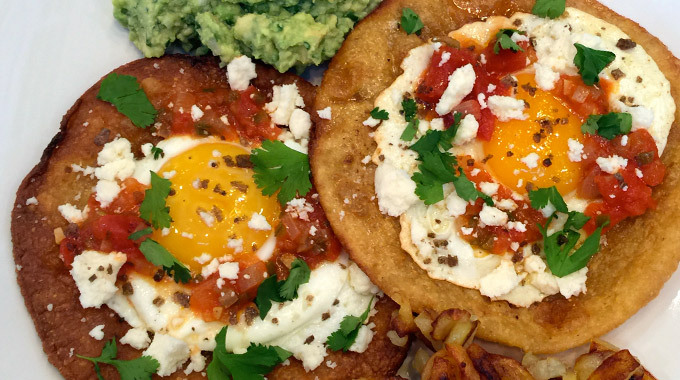 Place one egg atop each tortilla. Sprinkle with crumbled Cotija cheese. Spoon on Ranchero Sauce and cilantro leaves. 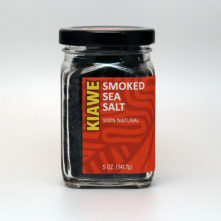 Sprinkle with Kiawe smoked salt. Serve with guacamole, fresh tortilla chips, and hashbrown potatoes or canned refried beans. Sauté onion in oil over medium heat with HVSS until softened and translucent but not browned, stirring occasionally. Add jalapeno and saute 2 minutes longer. Simmer over fairly low heat apx. 15 minutes to thicken, but not dry out. If it gets too dry, add a little water. Taste for salt, add as needed. Leftover sauce may stored in an airtight container in fridge and reused as needed for one week. Makes a good chip dip sprinkled with fresh, chopped cilantro. May also be used with fresh, minced cilantro in mashed avocado to make guacamole. 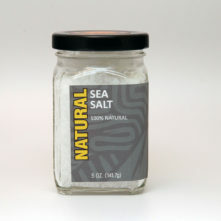 Our salt comes from 2,200 feet below the turbulent ebb and flow of the Pacific Ocean.